It would have been better with a narrator that isn't monotone. She killed the book for me. Tensions are building in Diablo Lake as the two main rival Packs vie for control, and the town is divided along lines of Pack loyalty. Aimee Benton and Mac Pembry are on opposite sides, and he seems to find excuses to spar with her daily. He's infuriating - not to mention charming, gorgeous, and oh, so lickable. What did you like best about Diablo Lake: Protected? What did you like least? I have not finished the book because I was so disappointed in the narrators reading ...very monotone you cant tell one character from another, unlike the narrator of the first book. What didn’t you like about Tatiana Sokolov’s performance? Could you see Diablo Lake: Protected being made into a movie or a TV series? Who should the stars be? "I am Meredith Gentry, P.I., and Princess Merry, heir to the throne of Faerie. Now there are those among us who whisper I am more. And who can blame them? I've awakened the dazzling magic that's slumbered in them for thousands of years. But the thing is, I can't figure out why." I am confused about the sudden change in the way Laural Merlington narrated this book compared to the first 2. Did the writer or the narrator change the characters names? The black Knight was Doyle in the 1st two books and know its Dole? The goblin king was short in the 2nd book and now he is as tall as Doyle/Dole. 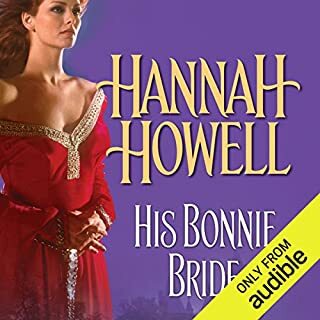 Would you ever listen to anything by Laurell K. Hamilton again? I like her as a writer but she should pay better attention to who is creating her characters though narration. Who would you have cast as narrator instead of Laural Merlington? I have noticed in book 4 there is a different narrator I hope I can get though book 3 without being so disappointed that I don't go on to book 4. In this brand new series from the author of the Clockwork Empire series, a hopeless outcast must answer Death's call and embark on an epic adventure... Although Danr's mother was human, his father was one of the hated Stane, a troll from the mountains. Now Danr has nothing to look forward to but a life of disapproval and mistrust, answering to "Trollboy" and condemned to hard labor on a farm. Until, without warning, strange creatures come down from the mountains to attack the village. 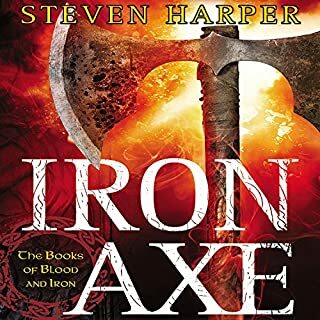 If you could sum up Iron Axe in three words, what would they be? I really enjoyed the writers detail of the characters and their surroundings. It was easy to imaging exactly what the writer was seeing. I really enjoyed this book and all the characters and their adventures....very good book. What made the experience of listening to His Bonnie Bride the most enjoyable? What was one of the most memorable moments of His Bonnie Bride? Who would you have cast as narrator instead of MacNab Ashford? What did you love best about Archangel's Blade? She is now my favorite narrator. She literally brings each character to life. Especially Demetri. 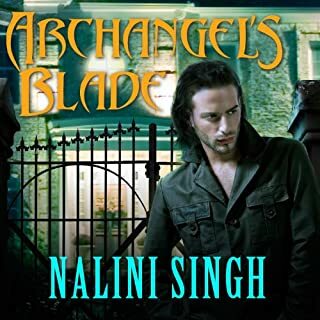 Nalini please keep writing this series. 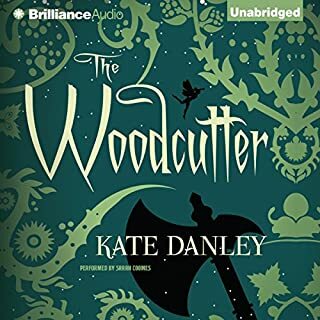 I have recommended this series to all my audible book friends. 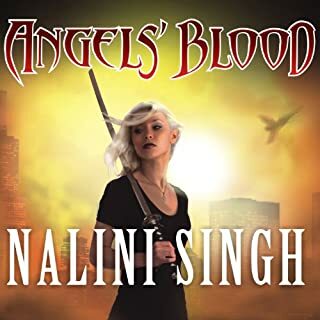 Nalini is one of the best writers I'v listened to and she made a good choice in narrators. What other book might you compare Angels' Blood to and why? none that I'v listened to so far, it is in a class of its own. I'm so glad there are 7 books in this series. The writer has a great story....but it is writen like a comic book or a immature writer...with way too may cliches and medtaphors..The mood of the story line was ruined by the lack of maturity in the verbiage. 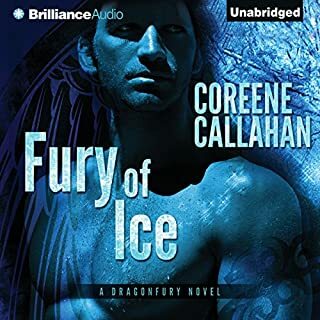 Would you ever listen to anything by Coreene Callahan again? Would you be willing to try another one of Benjamin L. Darcie’s performances? No.....I do not like men narrators. They are not able to perform multiple characters or women very well. What character would you cut from Fury of Ice? none....I like the characters and the story line....just not the stupid filler works used, again its like listing to a comic book story line. Sir Payton Murray's reputation as a lover is rivalled only by his prowess with the sword, yet it is the latter gift that has captured the interest of Kirstie MacLye. Fleeing a murderous husband who left her for dead, she vows to expose the man for the vile scoundrel that he is. She also knows it will take planning, cunning, and the help of a brave, arrogant, and willing champion. Kirstie only prays that Sir Payton will accept her challenge. 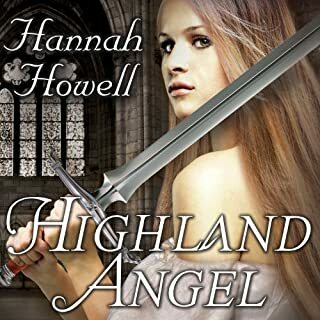 What made the experience of listening to Highland Angel the most enjoyable? The story line, the details to the era and language.I loved the characters and the way the narrator made the come to life. What was one of the most memorable moments of Highland Angel? yes......I even listen to it at work. This is a writer you hope has writen a series once you have listen to the first book.